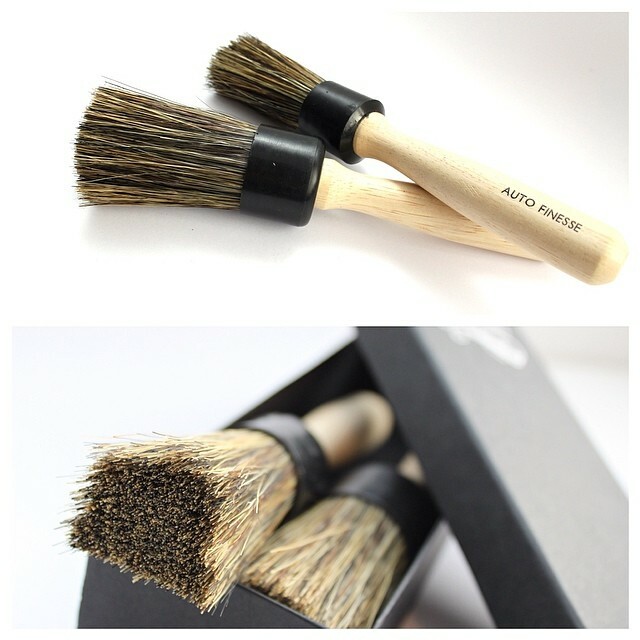 Auto Finesse Hog Hair Detailing Brushes (HHB1) are pure luxury, hand crafted in the UK. They are fully balanced solid wood handle, epoxy set chopped Hog hair bristles that are up to 75% longer than the industry standard, enabling them to clean deep spoke designs easier and safer, the no metal construction makes them incredibly durable too. Please refer to the manufacturers instructions before using the Auto Finesse Hog Hair Detailing Brushes. We offer a number of shipping methods for Auto Finesse Hog Hair Detailing Brushes based on your location and the weight of the ordered items. We always aim to offer you delivery of your products by the cheapest method for the total weight of your order. Detailed Clean India are more than happy to ship internationally the Auto Finesse Hog Hair Detailing Brushes, for an accurate quote add the item to your basket and then view the shopping cart where you can get an accurate shipping price based on the weight of the order. Auto Finesse Hog Hair Detailing Brushes has an average 5 out of 5 based on 1 ratings ( 1 user reviews). The reviews submitted below are genuine customer reviews and are their real opinions. For that reason we believe they are useful and trustworthy to you, a potential new purchaser of the Auto Finesse Hog Hair Detailing Brushes. Overall Auto Finesse Hog Hair Detailing Brushes has an average 5 out of 5 based on 1 reviews.